Syed J R Mudassir Husain, Chief Justice -- I have gone through the judgments proposed to be delivered by learned brother, Amirul Kabir Chowdhury, the author Judge and additional judgments written by my brother Md Ruhul Amin, my brother MM Ruhul Amin and my brother Md Tafazzul Islam. Having concurred with their judgments, I would like to add only few words stating to the effect that preparation of Electoral Roll is one of the positive steps for democratic process which will ensure the right of franchise of the people and also help the stability of our democratic institutions. Now as per our judgments, the Election Commission will prepare the electoral roll with utmost expedition. Mr Ruhul Amin, Justice -- I have gone through the judgment of brother Amirul Kabir Chowdhury and the addition made to the same by brother Md Tafazzul Islam. I agree with the reasons and the conclusion arrived at as to result of the appeal on modification of the judgment under appeal, but would like to add few lines in support of the judgment. The moot point in the appeal was whether keeping in view the next parliamentary election or in other words for the ensuing parliamentary election the Election Commission would prepare a fresh voter list without having any regard the existing voter list or the Election Commission would prepare the voter list taking into consideration of the existing voter list or in other words Election Commission upon additions, deletions and modifications of the existing voter list will prepare the voter list for the purpose of holding the ensuing parliamentary election. In the instant case the Election Commission (the Commission) in its meeting held on August 6, 2005 took the decision to prepare the voter list as the Commission felt necessity of preparing the voter list " completely error free". The procorrection and revision of voter list in Sections 10 and 11 of the Ordinance and there is provision for deletion of names from the electoral roll in Section 13 of the Ordinance. From the provisions of Sections 10, 11 and 13 of the Ordinance it is seen that there is no scope for the Commission while it goes for preparation of fresh voter list with the lapse of time between the parliament election held earlier and the period fixed for finalisation of the voter list for holding election of the next parliament. In my view when the Commission takes step for preparation of a fresh voter list it will delete from the existing voter list names of the persons who have acquired any disqualification for being enrolled as a voter and will add on following the provision of Sections 7, 8 and 9 of the Ordinance and the Rules 4-18 of the Rules framed under the Ordinance the names of the persons who have acquired qualification for being listed as voter between the period that passed from the date of preparation of the last voter list and till the date of finalisation of the voter list to be published finally as per provision of Section 7(4) of the Ordinance. If we look to the Rules prepared under the rule making power as provided in the ordinance we find Rule 19 relates to afresh electoral roll which will be prepared for an electoral area or constituency as per provision of Sub-section 7 of Section 7 of the Ordinance and Rule 20 provides for amendment and correction of the electoral roll and Rule 21 provides for revision of electoral roll. The provision of Sub-section 6 of Section 7, 10 and 11 of the Ordinance and the Rules 20 and 21 of The Electoral Rolls Rules, 1982, (The Rules) clearly show that continuity of the electoral roll is to be maintained or in other words whenever step would be taken for preparation of a fresh voter list the Commission should prepare such list taking into consideration the existing voter list or in other words the fresh voter list would be a list already in existence with additions, deletions and modifications. To be more clear and specific in view of the provisions as mentioned hereinbefore, in my view, the fresh voter list which would be prepared by the Commission should contain the names of the voters already in the existing list, if one has not acquired disqualification for being listed as a voter, as well as the names of the persons who in between the period while the existing list was prepared and the time fixed for being listed as a voter have acquired the qualification, as are in Article 122 (2) of the Constitution and in Section 7(1) of the Ordinance. Section 10 and 11 of the Ordinance provides for amendment and correction as well as revision respectively of electoral roll. When these provisions are read with the provision as in Section 7(6), Section 7(7) of the Ordinance as well as Rules 20 and 21 of the Rules it is seen there is contemplation of maintaining existing list with necessary additions, deletions and modifications or upon revision. It has been submitted on behalf of the appellant that the provisions in Section 7, 10 and 11 are independent and there is no scope for reading the same taking together and there is no scope to take the view that the law in the Ordinance and the Rules provide for continuity of the voter list or in other words maintaining of the electoral roll and preparation of a fresh electoral roll taking into consideration of the electoral roll so maintained. In my view the submission so made is of no merit because of the provision of Section 10, 11 and 7 (6) and 7 (7) as well as Rules 20 and 21 of the Rules. It may be mentioned the Commission in its meeting held on August 6, 2005 did not take decision for cancellation of the existing roll for the reasons as in Sub-section 7 of Section 7 of the Ordinance. It is seen from the minutes of the meeting of the Commission held on August 6, 2005 that the Commission felt necessity of preparing a fresh voter list free from mistake. In that state of the matter it cannot be said that the Commission took decision to scrap the existing voter list or to discontinue the existing voter list. Provision of Section 10 and 11 read with Rule 20 and 21 provides for correction of the existing voter list by addition, deletion and modification. It was submitted on behalf of the appellant that in the past voter lists were prepared in the manner similar to instant manner, but no exception was taken in any respect and there was not claim for continuity of the existing voter list. The submission so made, in my view, lacks substance since an act done in violation of the law or in disregard of the Rule would not be clothed with legality only because of lapse of time or for not taking exception to the, act so done in disregard of the law and the Rules, rather when challenge is made to the act done in disregard of the law and the Rules then the authority which is competent to put the person or the body acting in violation of law and the Rules to put on the right track is quite competent to make direction to the person or the body that acted or is acting upon violation of the law and the Rules to do or perform its function or act in due compliance of the law and the Rules. The provision in Section 7(7) of the Ordinance providing for preparation of an electoral roll 'afresh' by the Commission is limited to particular or specific electoral area or constituency in the state of the matters as are therein and not beyond that or in other words the said provision does not authorise the Commission to prepare a fresh electoral roll scrapping/obliterating the existing electoral roll. The Commission in its meeting held on August 6, 2005 felt necessity of preparing " completely error free" electoral roll. In my view for achieving that purpose the Commission is not required to obliterate the existing voter list or to consign the same to cold-storage and then replace the existing voter list by afresh voter list. Device for preparing " completely error free" voter list without scrapping existing voter list is very much in the Ordinance (Sections 10 and 11) and the Rules (Rules 20 and 21) framed under the Ordinance. The continuity of voter list or in other words non-scrapping of existing voter list is also seen from the provision of section 11A of the Ordinance and the Rules 22, 23 and 26. In fine, I am of the view, the Ordinance and the Rules framed under the Ordinance postulate continuation of existing electoral roll with necessary additions, deletions, revision, modifications, corrections and amendments. I am of the view whenever the Commission will take step for preparation of electoral roll, the same will perform the said function upon taking it no consideration the list maintained under Section 7 (6) of the Ordinance in the light of the provisions of Sections 10 and 11 of the Ordinance as well as Rules 20 and 21 of the Rules and not by scrapping or obliterating the existing list. MM Ruhul Amin, Justice --I have gone through the judgment proposed to be delivered by my learned brother Amirul Kabir Chowdhury, J and the reasonings added by my learned brother Md Tafazzul Islam, J and I have nothing more to add. Electoral Rolls Ordinance 1982 provides for preparation of electoral rolls for the purpose of elections to different elective bodies and Electoral Rolls Rules 1982 provides details in this regard. Ordinance 1982 as well as Rules 1982 more or less envisage 5 stages i.e. At the first stage in terms of the provision of section 7 (1) read with rules 3, 4 and 5 a draft electoral roll, has to be prepared after complying with the requirements, as laid down. (I) It is held that the decision for preparation of Electoral Roll taken in the meeting on 6th August, 2005 was not unilateral decision of the Chief Election Commissioner rather it was a decision of the Commission for the preparation of the Electoral Roll and appointment of the Registration Officers etc. (II) The Election Commission of Bangladesh is a composite body and it must function enhance. That is, it must function institutionally and no individually. In case of difference of opinion all decision must be taken by majority opinion. The Chief Election Commissioner is on part with other Commissioners on all matters except that the Chief Election Commissioner is the Chairman of the Commission under Article 118(2) and can exercise his sole discretion under Article 123(4) of the Constitution. (III) The Commission should prepare Electoral Roll taking the existing Roll maintained under section 7 (6) of the Ordinance as a major basis. If there is a computerised database the Commission should make the best use of it and if not, a computerised Electoral Roll with database should always be maintained to avoid future controversy, costs and labour. (iv) The persons whose names are already in the existing electoral roll cannot be dropped from that roll unless they are dead or have been declared to be of unsound mind or ceased to be residents or ceased to be deemed to be a residents of that area or the constituency. (v) The Chief Election Commissioner should immediately call a meeting of the Commission and the Commission should decide and take all appropriate steps to implement the decision of the Commission taken on 6th of August, 2005 in its meeting for preparation of the Electoral Roll in the light of this judgment". At the second stage in terms of section 7(2) read with rules 6-8 a draft electoral roll shall be published inviting claims and objections and in terms of section 7(3) read with rules 7 to 10 the registration officer shall on the basis of any decision or on the basis of claims and objection will make addition, modification or correction in the electoral roll and in terms of section 7(4) read with rules 7-17 requirements as provided therein are to be complied with before publication of the final electoral roll and in terms of section 7(5) read with rule 18 final electoral roll is to be published. At the third stage in terms of section 7(6) read with rule 28 final electoral roll has to be maintained in the prescribed manner and also be kept open for public inspection and copies thereof are to be supplied on payment of fees. In the fourth stage in terms of section 10 and section 15 read with rule 20 amendments and corrections may be made in the electoral roll on complying the provision as contained therein and in terms of section 15, the Election Commission may at any time include or exclude a person from the electoral roll and also correct any entry in the electoral roll. At the firth stage in terms of section 11 read with rule 21, unless otherwise directed by the Election Commission, before each election to an elected body, the electoral roll shall be revised and if directed by the Election Commission, the electoral roll shall also be revised in any year. As it appears the provisions of section 7(7) providing preparation of electoral roll afresh applies only to a particular electoral area or constituency, for gross error or irregularity in the preparation of electoral roll of that area or constituency but the facts of the present appeals are different in as much as order has been passed for preparation of the electoral roll afresh for the whole country. As it appears sub-rule (1) of Rule 21, which deals with revision of electoral roll, specifically provides that for the purpose of revision of the electoral roll, specifically provides that for the purpose of revision of the electoral roll for any electoral area, the electoral roll of the electoral area for the time being in force shall, with such additions, deletions and modifications as may be necessary, be published as draft electoral roll in the manner provided in rule 6 and thereupon the provisions of rules 7 to 18 shall apply in relation to every such roll as they apply to the first preparation of an electoral roll for an electoral area. Further the words “first preparation of an electoral roll for an electoral area” indicates that only such first preparation in the preparation of the electoral roll afresh and there is no other scope for preparing electoral roll afresh. After revision only a revised electoral roll is published. Accordingly before the 9th Parliamentary election it is the existing electoral roll, i.e. the electoral roll of 2000, with some addition, deletions and modification as may be necessary, is to be published as draft electoral roll and since the electoral roll 2000 will be the basis for preparing the draft electoral roll, the same has a continuity. It also appears that sub rule 1 of Rule 21 refers to rules 7-18 which contain the procedure for inclusion, deletion and correction and Rule 14 provides for issuance of notice in the case of correction of an entry and Rule 15 also provides for service of such notice either personally or by point. So the decision of High Court Division, with the observations/directions as contained in paragraphs III and IV of the judgment and order does not call for any interference. ......... the appellants calling in question the legality of Directives Nos. III and IV preferred the appeals. Leave was granted to consider the submissions made on behalf of the appellants-petitioners that in view of the provisions of section 7 to 11 of the Electoral Rolls Ordinance 1982 and rule 4 of the Electoral Rolls Rules 1982, the observations made in the judgment that "the preparation of a fresh voter list, the observation made by the High Court Division in paragraph III of the summing up portion of the judgment is erroneous and liable to be set aside. Leave was granted also to consider the submission that the observation made in paragraph IV of the summing up portion of the judgment to the effect that " the persons whose names are already in the existing electoral roll can not be dropped from the roll unless they are dead or have been declared to be of unsound mind or ceased to be resident or ceased to be deemed to be resident of that area or the constituency" is erroneous and inconsistent with the provision of the law inasmuch as, in that case, the process of enumeration of voters by door to door visit to ascertain who are fit to be entered in the Electoral Roll according to Article 122 of the constitution and Section 7(1) of the Electoral Roll Ordinance, 1982 and the Rules become meaningless and that continuation of an Electoral Roll in pursuance of the provision of Section 7(6) of the Ordinance 1982 till the same becomes obsolete on the publication of a fresh voters list as per section 7(5), is necessary for holding bye-election to parliamentary constituencies between two general elections and also for holding elections to different elective bodies like the Corporations, Pourashavas and Union Parishads but Section 7(6) cannot be construed or declared to be "basis" for preparation of a fresh voters list. Mr Khandker Mahbubuddin Ahmed, learned Counsel appearing for the appellant in both the appeals has taken us through the materials on record including the impugned judgment. Challenging the legality of the findings and observations/directives given by the High Court Division in paragraph III and IV of its judgment Mr Ahmed refers to the minutes of the meeting dated 06.08.2005, of the Election Commission, hereinafter referred to as the Commission and the relevant portion of the said minutes are as follows: After the independence according to the Bangladesh Electoral Rolls Order, 1972 Bangladesh Electoral Rolls Rules, 1972 and Electoral Rolls Ordinance, 1976 voter lists were prepared in the year 1973, 1983, 1990 and 1995. In 2000 the last existing voter list was prepared. It means voter list has been prepared afresh before general election to Jatiya Sangsad (translated from Bangla). Referring to paragraph 2(2) of the said minutes Mr Ahmed submits that reasons have been considered by the Commission to come to the conclusion "that in this situation the voter list should be error free"
"We find from these notes that both the Commissioners (Mr AK Mohammad Ali and Mr M M Munsef Ali) are specific about their intention for preparation of a voter list." He then submits that the High Court Division formulated points for decision as to whether the decision taken in the meeting of the 6th August 2005 was unilateral or was by the Commission and that whether a fresh or new voter list is at all permissible to be prepared under the provisions of the Electoral Rolls Ordinance, 1982 (Ordinance No LXI of 1982), in short, the Ordinance of 1982 and the Rules framed there under. "The expression, "unless otherwise directed by the Commission" in section 11 (1) (a) of the Ordinance is a sufficient indication that other than revision the Commission can follow the foregoing procedure as in Sections 5 and 7 for preparation of electoral rolls. We must not lose sight of the chronology of Section 7 which puts final roll in section 7 (5) and roll afresh of an area or constituency in Section 7 (7) and up dating and revision in Sections 10 and 11 respectively of the Ordinance. It thus follows that the decision in the meeting of the 6th August, 2005 was not unilateral rather it was decision of the Commission and the Commission is required to have an electoral roll prepared as distinguished from mere corrected, amended or revised taking the list maintained under Section 7 (6) of the Ordinance as the major basis." Mr. Ahmed further submits that "there is no controversy that the decision was taken for preparation of a list and for appointment of Registration officers etc on the 6th August 2005 but the 2 other Commissioners started disputing that the decision was taken for revision of the list and appointment of the Registration Officers for that purposes which is belied by Annexure-1 of the affidavit of compliance." Mr. Ahmed referring to the above mentioned portion of the judgment submits that the High Court Division has correctly construed Section 7 of the Ordinance but he takes exception to the observation that the Electoral Roll is to be prepared "taking the list maintained under Section 7 (6) of the Ordinance as the major basis" and emphatically submits that this is an erroneous observation which has also been repeated in the summing up portion in paragraph (III) of the findings and observations. He further submits that such erroneous observation is followed by another erroneous observation in paragraph-IV to the effect that "the persons whose name are already in the existing electoral roll cannot be dropped from the roll unless they are dead or have been declared to be of unsound mind or ceased to be residents or ceased to be deemed to be a resident of that area or the constituency." Referring to the preparation of Electoral Roll in the years 1990, 1995 and 2000 preceding each general election Mr. Ahmed questions as to why the respondents are silent as to the fact of preparation of new Electoral Roll in those years and according to him if the Election Commission is possessed of the authority to prepare new Electoral Roll for those years why the Commission should be stopped from preparing the same in similar way for the next election. Thereafter Mr. Ahmed submits that there is nothing in the Ordinance or in the Rules framed thereunder which supports the two impugned observations (in paragraph -III and IV) in the judgment of the High Court Division. Elaborating the contention he submits that there is no reason to hold that Section 7 of the Ordinance is enacted only for the first preparation of voter list and that Section 7 in fact comes to play its role whenever a new list is being prepared as was done in the years 1990, 1995 and 2000 and every time the existing list was "maintained" under Section 7 (6) of the Ordinance for being used during by-elections of the Parliament and Elections of local bodies and that continuation of the existing voter list terminates in the final publication of a new voter list under Section 7 (4) of the Ordinance. He then submits that the concept of treating the existing voter list maintained under Section 7(6) as "basis or major basis" for preparation of new voter list is opposed to the process of preparation of voter list by visiting from door to door and enumerating the residents as required by rule 4 of the Rules. He then submits that section 7 to 10 and 11 of the Ordinance are not independent of each other providing for preparation of voter list correcting and amending existing voter list and revising the same respectively. He emphatically submits that preparation of electoral rolls afresh becomes necessary upon cancellation of the Electoral Roll of any electoral area or Constituency for reasons stated in Section 7 (7) of the ordinance. Referring to the submission that the Electoral Roll is being prepared as per law and practice and the existing Electoral Roll in not at all being abandoned in the process of preparation said to have been made in his submission before the High Court Division Mr. Ahmed replies that this submission cannot be taken to be the reason for making the existing Electoral Roll as the major basis and he adds that what was submitted in fact is that the existing Electoral Roll continued for all purposes and was not abandoned in the process of preparation of a new voter list to enable any claimant to prove his case before the revising authority after publication of the draft list and that he in fact did not support the submission of the writ petitioners. After placing the relevant provisions from the ordinance and Rules Mr. Ahmed takes exception to the observation of the High Court Division that the Commission must maintain an Electoral Roll to hold the field till the publication of Electoral Roll prepared by the Commission and the Commission cannot be oblivious of the existing list and that the voters whose names appear in the existing rolls cannot be dropped unless he is dead or otherwise earned disqualification and that the right to be voter cannot be dependent on his being present when the enumerators visited his house or his signature is obtained in particular form. He submits that those found not available at their houses during the time of visit of the enumerator shall, in accordance with law, be excluded from the Electoral Roll but their right to file objection has not been denied and as such the above observation of the High Court Division is erroneous. He refers to Rule 16 providing elaborate procedure for inclusion of those in the voter list who have been excluded and thus submits that they are not without any remedy. "Voter list should be prepared by visiting door to door"
"It appears that the Commission is sharing the opinion of the political parties as to what to do creating scope for controversies which should have been avoided" and submits that this sort of observation is without any basis whatsoever and has been made unnecessarily. Mr. Ahmed submits that new Electoral Rolls have been prepared in the years 1990, 1995 and 2000 before each parliamentary general election and that for the next election also the Election Commission has decided to prepare the Electoral Rolls as were done previously and there is nothing wrong in the said decision and as such the impugned directives in paragraphs III and IV are quite legal. He has referred to the finding appearing at page 57 of the paper book that the decision for preparation of Electoral Roll taken in the meeting dated 6th August 2005 was not unilateral decision of the Chief Election Commissioner; rather it was a decision of the Commission for the preparation of Electoral Roll and appointment of registration officers and, according to the learned Counsel, in such view of the matter, the High Court Division ought to have rejected the writ petitions. Lastly Mr Ahmed submits that the impugned findings and observations in paragraphs III and IV of the judgement under the appeal are standing in the way of the Commission to prepare the Electoral Rolls and as such the same are required to be expunged upon allowing the appeal. 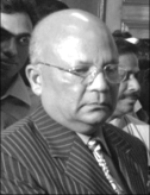 Dr Kamal Hossain, learned Counsel, submits that in the matter of preparation of Electoral Rolls there being divergence of views between the Chief Election Commissioner and the two other Commissioners regarding interpretation of the law, the respondents had to take shelter of the High Court Division for proper construction of the provisions of the Ordinance of 1982 and the Rules framed thereunder. In this connection he refers to Annexure-I, minutes of the meeting of the Commission dated 06.08.2005 and points out that in the minutes though a decision appears to have been purportedly taken to prepare the Electoral Roll in the same way as was done in 1983, 1990, 1995 and 2000 but from the notes given by the two other Commissioners, namely, Mr A K Mohammad Ali and Mr M M Munsef Ali it appears that the decision cannot be said to be unanimous in as such as two of the Commissioners, out of three gave note of dissent and thus the decision cannot be a decision of the Commission. He further submits that in the said meeting decision was taken to make the Electoral Roll "completely error free" and that to make it "completely error free" does not mean that the existing Electoral Roll should be obliterated. In this connection he further refers to the note Nos. 25 and 26 dated 07.08.2005 by the two other Commissioners opining that the Electoral Roll may be prepared as per provision of the Ordinance of 1982 and rules framed thereunder. But in note 27 the Chief Election Commissioner appears to have taken the role of Umpire who decided that a fresh voter list shall be prepared. The word “fresh”, according to the learned Counsel, appears in the scene for the first time disregarding even the decision of the meeting dated 6th of August 2005 where also the words 'fresh voters list' were not mentioned. Be that as it may, the learned Counsel then refers to note No. 12 dated 05.10.2005 by Election Commissioner Mr A K Mohammad Ali who opined against preparation of fresh voter list and appointment of the officers for the purpose and on 12.10.2005 there is also note of dissent by the two other Election Commissioners but according to the learned Counsel, the Chief Election Commissioner on 05.10.2005 approved the proposal for preparation of fresh voter list. According to the learned Counsel the aforesaid circumstances compelled the writ petitioners to take shelter of the High Court Division. He thereafter refers to Annexure-V announcing schedule of various dates for preparation of Electoral Roll and registration of voters fixing 1st January 2006 as the date for collection of information by house to house visit and 8th January 2006 for verification of the information by supervisors. He expressed surprise at the short timing i.e. about 7 days only and termed the same to be bionic speed and remarked that it smacks smear and that it has been done with oblique motive. Thereafter he refers to paragraph 10 of the affidavit on behalf of the writ respondent No. 1 wherein Mr S M Zakaria, the then Secretary of the Commission (now one of the Election Commissioners), made statement on oath on 01.01.2006 that the appointments challenged by the writ petitioner of the election officials/staff have been made under the orders of the Secretary to the Commission, according to rules of business which governs the Election Secretariat as a Division of the Prime Minister's Office. Taking reference therefrom the learned Counsel seriously challenges the efficacy of the appointment. Thereafter placing the election laws of various countries including India and Pakistan Dr Hossain submits that there are provisions of annual revisions of Electoral Rolls in those countries and Section 7(7) of the Ordinance of 1982 in fact envisages similar scheme and that the Election Commission may cancel the Electoral Roll of any area or constituency. Referring to Section 5 of the Ordinance of 1982 the learned Counsel submits that for each electoral area or constituency there shall be prepared Electoral Rolls upon registration of the voters. Then he refers to Section 7(1) read with Section 7(7) of the Ordinance 1982 and submits, inter-alia, that a person being a citizen of Bangladesh, if not less than of 18 years of age, not declared by competent court to be of unsound mind or is or deemed to be a resident of the electoral area shall be included in the draft Electoral Roll and in sub-section (7) of Section 7 the commission on account of any gross error or irregularity in the Electoral Roll for any electoral area or constituency may declare such roll or draft cancelled and then for that area or constituency Electoral Roll may be prepared afresh. But according to him, such interference by the Commission for preparing Electoral Roll afresh can be made only for any particular area of a constituency and that also can be done by the decision of the Commission and the Commission, according to the learned Counsel, means the Commission as a whole consisting of the members or at least according to the opinion of majority of them. He further submits that there is no such decision by the Commission and more so even there is no opinion of the Chief Election Commissioner himself that the Electoral Rolls of all 300 constituencies contain gross error and as such the interpretation of the Chief Election Commissioner of the provision of Section 7 (7) of the Ordinance of 1982 is erroneous. The learned Counsel wonders as to why the Chief Election Commissioner has come up in this appeal challenging the findings and observations mentioned in paragraphs III and IV which are absolutely above board. He then refers to Sections 13 and 15 of the Ordinance of 1982 and submits that the observation in paragraph IV is fully endorsed and backed by aforesaid provisions of law. Referring to the observation, given by the High Court Division in paragraph III the learned Counsel submits that there being already an Electoral Roll maintained under Section 7 (6) of the Ordinance what is the harm if the same is taken in to consideration at the time of preparing the Electoral Roll. It does not matter whether it should be considered as a major basis or minor basis but the prime consideration is that the name of persons already, on the Electoral Roll should not be deleted wholesale. He thereafter concludes submitting that there is no error in the aforesaid recommendations in paragraphs III and IV. He then refers to Rule 19 of the Rules of 1982 regarding preparation of Electoral Roll for an electoral area afresh and submits that the said Rule is meant for preparation of Electoral Roll for an electoral area. He again refers to Sub Section (7) of Section 7 of the Ordinance in this connection and submits that the procedure laid down there as far as possible is to be followed and in order to make a fresh voter list as contemplates by Section 7 (7) of the Ordinance of 1982, according the learned Counsel, existing one must be cancelled first and referring to the minutes of the meeting dated 6th August 2005 he submits that the said minutes do not include any decision for cancellation of the existing Electoral Roll and so unless there is cancellations of the existing Electoral Roll no fresh Electoral Roll can be prepared and taking recourse to Section 11 of the ordinance the learned Counsel submits that the validity of existing Electoral Roll is protected under aforesaid provision of law wherein provision of revision of the Electoral Roll has been made to make it up dated before each election to an elective body. Mr Mahmud placing the relevant portions from the judgment concludes contending that there is no error in the impugned judgement and as such the appeal be dismissed. Mr Amir-Ul Islam, learned Counsel appearing for the respondent No. 1 in Civil Appeal No. 55 of 2006, submits that right of vote is an individual right, a public right, a collective right and also a republican right. Taking us to the constitution he refers to Articles 119 (Functions of the Election Commission), 121 (provision for single Electoral Roll for each constituency) and Article 122 (2) prescribing qualifications for registration as voter and submits that the constitution has mentioned the function of the Election Commission and has made provisions as to preparation of the Electoral Rolls. The Commission should prepare Electoral Roll taking into consideration of the existing Roll under Section 7(6) of the Ordinance. If there is a computerised database the commission should make the best use of it and if not, a computerised Electoral Roll with database should always be maintained to avoid future controversy, costs and labour. The persons whose names are already in the existing Electoral Roll can not be dropped from the Roll unless they are dead or have been declared to be of unsound mind or less than 18 years of age or ceased to be a citizen of Bangladesh: or ceased to be deemed by law to be residents of the electoral area/constituency. The Commission, if occasion arises for dropping the name from the existing Electoral Roll then shall do the same following the procedure as laid down in Sub Rules (3) and (4) of the Rule 20 of the Electoral Rolls Rules, 1982. Referring to the preamble of the constitution the learned Counsel submits that it has pledged that it shall be a fundamental aim of the State to realize in a democratic process a socialist society ...... in which ....... justice, political, economic and social, will be secured for all citizens. He emphasised on the words 'political justice' to be ensured to the citizens. "....... this document and the Constitution including its Preamble show the principles and ideals for which our national martyrs scarified their lives and our brave people dedicated themselves to the said war. Essential features of these documents are People's Sovereignty, Constitution's Supremacy, Independent Judiciary, Democratic Polity based on free election and justice. He has emphasised the fact that these fundamental principles were not followed, and the basic rights were denied to us, during the Pakistan regime and that is why the War of Independence was fought and won and consequently these rights and principles have been enshrined in the Constitution as the solemn expression of the people's will and that these objectives are intended to last for all time to come and not to be scraped by any means including amendment of the Constitution." Thereafter he submits that the fundamental principles of the State are required to be followed and basic rights of the citizens cannot be denied to them as enshrined in the constitution and that nothing can be allowed as a result of which the objectives intended to last for all time to come can be escaped by any means. Thereafter he submits that maintenance of Electoral Roll in a state is continuous process and that it means that the citizens above 18 years of age having no disqualification as mentioned in the constitution have got a mandate to be in the Electoral Roll of the country and it is a duty of the state to do it and to maintain it but by the impugned action the Election Commission, nay the Chief Election Commissioner, wants to break the continuity in the process. 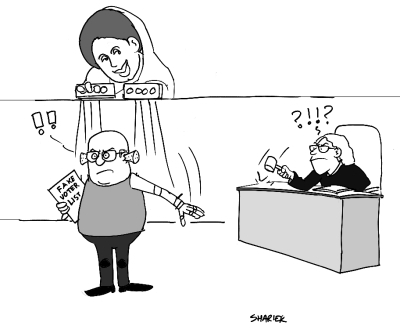 He pauses a question that if the existing Electoral Roll is maintained as the basis for preparation of Electoral Roll where is the wrong and supporting the finding of the High Court Division that existing Electoral Roll should be maintained as the major basis, Mr Islam submits that there is no error in such observation as then only a 'bench mark' shall be available i.e. the existing Electoral Roll shall be the major bench mark. Referring to Section 11 of the Ordinance read with Rule 21 of the Rules thereunder the learned Counsel submits that there being provision for revision of Electoral Roll it is not necessary that a citizen shall have to be enrolled as a voter every time afresh. He submits that in the whole scheme of the Ordinance of 1982 and the rules thereunder, there is no bar in keeping the Electoral Roll on the basis at the time of preparation of another Electoral Roll and the action of the Chief Election Commissioner to prepare the Electoral Roll afresh is in violation of law and so it cannot be maintained and he submits that what is not permitted by law if done is malice in law. Referring to the submission of the learned Counsel for the appellant made before the High Court Division appearing at page 50 of the paper book Mr. Islam submits that he also did not propose for abandoning the existing Electoral Roll and according to Mr Islam the decisions and findings given by the High Court Division in fact were made on the basis of consensus of the parties. Supporting the step of the Election Commission for preparation of the Electoral Roll maintaining the existing one Mr Islam placed a comparative analysis of the Electoral Rules of Bangladesh, India, Pakistan and the United Kingdom and submits that in India and UK there is no provision for preparing a fresh electoral roll. But in Bangladesh and Pakistan there are similar provisions. In Pakistan of course there are provisions that the electoral roll of a part of an area can be cancelled and started afresh. Referring to the findings and observations in paragraphs III and IV challenged by the appellants the learned Counsel submits that the Electoral Roll is required to be revised from time to time and majority people are voters in the Electoral Roll and they remain there and so if the said Electoral Roll is made the basis for preparation of any further Electoral Roll there is no harm nor any illegality and as such the findings and observations in paragraph III are not erroneous. He then submits that the wisdom of law of our country is that in case of gross error in the Electoral Roll, the same may be corrected and sufficient provision has been provided in the law to maintain continuity and that efficacy of the preparation demands continuity. Referring to Section 5 of the Ordinance of 1982 read with Rule 19A the learned Counsel emphasises that there is provision for perpetration of Electoral Roll upon registration of voters maintaining register thereof and the register so kept is the milestone of continuity. He emphatically submits that under Rule 19(2) of the Rules it appears that if a voter is enrolled his name cannot be deleted without notice. Referring to findings and observations in paragraph IV the learned Counsel submits that it complies with Rule 20(4) of the Rules of 1982 and therefore there is no error. Summing up his submissions Mr Islam submits that the appellant has not filed the appeal bonafide and that due to non-compliance with the directives of the High Court Division the appeals are not entertainable and the appellant has not come to this court with clean hands and that two of the commissioners out of three expressed their desire against filing appeal and as such the appeal cannot be construed to have been filed by the Election Commission and more so the appeal being filed after long delay the appellant is not entitled to any relief. Mr Islam submits that political justice is to be ensured by the state to its citizens for which the country has been liberated and that political justice is the objective of our constitution. Referring to the preamble of the constitution Mr Islam says that the preamble is the pole star/search light to see the constitution and as already submitted by him the preamble of our constitution ensures political justice which cannot be denied to its citizens and it the names of persons appearing at the existing Electoral Roll are deleted from the so called fresh Electoral Roll then purpose of political justice shall become meaningless. In conclusion Mr. Islam submits that most important basis feature to enable the citizens of the state to exercise their right of franchise is preparation of correct electoral roll. He then submits that Article 122 of the constitution is the basis of right of the citizens while Article 121 is the mechanism to achieve the right. He submits that political injustice is required to be remedied by the judiciary. Taking aid of the aforesaid observations Mr. Islam reiterates that the right of a Citizen to be enrolled as a voter is a birth right and in order to delete name of a person from the Electoral Roll, it cannot be done arbitrarily. Mr. Islam concludes contending that the finding and observation in paragraph III is the deduction of law and paragraph IV is also in conformity with the law and as such there is nothing wrong in the two findings and so the appeals may be dismissed with costs. Mr. TH Khan appearing for the appellant in both the appeals in reply submits that there is no denial of the fact that there are provisions for revision in the Electoral Rolls. But there is no bar in the law in preparation of fresh voters list. Regarding the submissions made on behalf of the respondents that to maintain continuity the old/existing voter list is to be retained the learned counsel puts a question as to wherefrom the continuity to remain undisturbed and where is the law? He further submits that the High Court Division found that the decision of the Election Commission taken in the meeting on 6th August 2005 was not a unilateral decision but was a decision by the Election Commission as a whole and after making such finding how the judgment of the High Court Division giving the directives as contained in paragraphs (III) and (IV), being contrary to the aforesaid decision of the Election Commission taken on 06-08-2005 can be maintained. Submitting on the necessity of filing the appeal the learned Counsel submits that the decisions/directions given by the High Court Division though contrary to the existing law, but are working obiter dicta and so are binding upon the appellant and as such the appellant felt constrained to prefer the appeals and the appeals are therefor absolutely bonafide. "We have considered the submissions made at the Bar and perused materials on record. We have already noticed that the impugned judgment of the High Court Division have been challenged by the appellant. The whole question arises as to preparation of a fresh Electoral Roll for the next general election. In order to ensure a fair and free election, a flawless Electoral Roll is necessary. Holding of free and fair election at all levels postulates necessity of having Electoral Rolls prepared in accordance with law. For the forthcoming National Election, the Election Commission is required to prepare Electoral Roll. Now the dispute has arisen as to whether Electoral Roll afresh should be prepared or the existing Electoral Roll should be up dated. As revealed in the submissions of the parties it is noticed that under Article 122(2) of our Constitution any citizen of Bangladesh, being not less then 18 years of age, not declared by the competent court to be of unsound mind and being resident of the area or deemed to be so by law is entitled to be enrolled as voter in the Electoral Roll. The Ordinance of 1982 has provided in Section 7 for preparation and publication of the Electoral Rolls embodying almost similar provision. In order to hold the general election the Election Commission appears to have taken decision in its meeting held on 06.08.2005 for preparation of Electoral Roll. "Decision: activities regarding to prepare the voter list should be taken for the ninth parliamentary election following the Electoral Ordinance 1982 and Electoral Rolls Rules 1982 by visiting door to door as it did 1983, 1990, 1992, 1995, 2000 (trnslated form Bangla)." From the aforesaid decision taken by the Commission it appears that the Commission decided to prepare the Electoral Roll by collecting information through house to house visit. There is therefore nothing to dispute that Electoral Rolls shall be prepared for the ensuing election to the Ninth Parliament. On consideration of materials on record the High Court Division also found “there is no controversy that decision was taken for preparation of a list and for appointment of Registration Officers etc. on 6th August 2005". So far as preparation of Electoral Roll and appointment of Registration officers etc. there is therefore no dispute between the parties. The dispute, as we have already noticed, is whether a fresh Electoral Roll shall be prepared by collecting, information through house to house visit or the Roll shall be prepared/up dated on the basis of existing Electoral Roll maintained earlier. "(1) The elections to Parliament shall be on the basis of adult franchise. (2) A person shall be entitled to be enrolled on the electoral roll for a constituency delimited for the purpose of election to the Parliament, if he. (d) is or is deemed by law to be a resident of that constituency." "5. Preparation of electoral rolls -- For the purpose of elections to different elective bodies, there until be prepared electoral rolls for each electoral area or constituency, as the case may, upon registration of the votes. (d) is or is deemed by law to be a resident of that electoral area. There are also provisions for amendment and correction of the Electoral Rolls and its revision in Sections 10 and 11 of the Ordinance. Pursuant to the aforesaid Ordinance the Electoral Rolls Rules, 1982 have also been made providing Rule 4 as to supply of information by occupants of dwelling houses and Rule 10 prescribing the manner of lodging claims and objections regarding the Electoral Rolls. On perusal of the aforesaid provisions of law we do not find any embargo in preparation of an electoral roll by the Election Commission for the ensuing election to the 9th Parliament. There is also no bar in taking into consideration of the existing Electoral Roll prepared under Section 7 (6) of the Ordinance in preparing such Electoral Roll. Regarding the direction in paragraph III, as already quoted by us herein before, we are of the view that the Election Commission may be given a direction to take into consideration the existing Electoral Roll at the time of preparation of the Electoral Roll for the ensuing election to the 9th parliament in Order to make the Electoral Roll transparent. Both the parties advanced argument on the question of dropping of names of persons from the existing Electoral Roll while preparing the roll for the next National Election. "13. Deletion of name from Electoral Roll. If a person whose name appears on an Electoral Roll ceases to be a citizen of Bangladesh or is declared by a competent court to be of unsound mind his name shall stand deleted from the Electoral Roll." The High Court Division considering the provision of the constitution and the Ordinance of 1982 appears to have made findings and observations mentioned in paragraph IV as to dropping of names of persons from the existing Electoral Roll which we have already quoted herein before. Argument has been advanced that the Election Commission in the directive in paragraph IV has been given the direction for deletion of the names without any legal guideline. (3) Where, at any time, any clerical, printing or other error in any entry in any Electoral Roll for the time being in force comes to the notice of the Registration Officer, he may, on his own motion and after giving notice to the person to whom the entry relates, correct such error. (4) If at any time it appears to the Registration Officer that the name of any person who has died or is or has become disqualified for enrolment or who ceases or cannot claim himself to be a citizen under the provision of any law relating to the citizenship of Bangladesh has been included in an Electoral Roll and if he is satisfied after giving notice to the person concerned and after making such enquiry as he may consider necessary that the name should be deleted, he shall amend the Electoral Roll accordingly. We are of the view that conditions embodied in the aforesaid Sub-rules (3) and (4) of Rule 20 are required to be complied with in case of deletion/dropping of the names of persons from the existing Electoral Roll. In such view of the matter the directive in paragraph (IV), according to us, should be modified. In view of our decision to make the modifications mentioned hereinafter in the impugned directives we do not think that there is any necessity to allow the appeals.